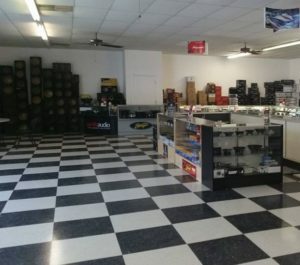 Professional car stereo shop with years of experience. From our grassroots as a small start-up car stereo shop over a decade ago, to our 10,000+ square foot showroom and service facility today, one thing remains the same; we strive to hold tight to the old fashioned values of yesterday’s America. – When the world was more about quality and personal service. Our large 10,000+ foot facility can accomodate 10+ customer vehicles at one time. 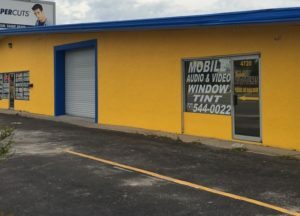 This includes full-out custom stereo builds, alarm installation, stereo/speaker wiring repairs and everything else related to car stereos under the Florida sunshine. Our new car stereo installation bay has bay doors entering in the front and back of our building. When you have a small issue that only needs a few minutes attention to repair you will be able to drive up quick and be taken care of fast – while you wait in our engaging and relaxing showroom.